Welcome to Round Table, which is in fact not a table at all. Round Table is a continuing series on PreCentral where we pose a question to the staff and they provide their thoughts and insights. The question could be something simple like “what’s your favorite use for the Pre’s mirror?” or something a bit more complicated, like “why are you sticking with webOS (or are you)?” Or maybe we’ll just end up discussing our sandwich workflow. Today, however, we’re diving into the latest version of webOS. While few have been able to handle webOS 2.0, the veritable cornucopia of videos, screenshots, and reviews have made it easy to draw some preliminary conclusions. After the break, see what the crew has to say about HP webOS 2.0. Adam: My initial thought about webOS 2.0 is that Palm took what they already did great and made it even better (Stacks, Just Type, Synergy, the use of the touchstone, etc.) while beefing up the code “under the covers” to make it faster and more efficient. They continue to try to really differentiate the user experience on webOS as compared to all the other competitors and make it something unique (that is, until they all start to steal the cards metaphor and gestures). However, I was amazed at the lack of updates to some areas of the OS, especially the PIM area that Palm OS was always strong in. Email is still very basic, the calendar still doesn’t have an agenda view or search, the camera and Photos apps are very bare bones, and there is no desktop sync solution to get your Palm Profile data off the device without homebrewing or data mining the PalmDatabase.db3 file. Also, we have yet to get any confirmation or discussion of what new APIs to expect, such as the elusive microphone or camera APIs that were “announced” at the Developer Day earlier this year. With webOS 1.0, they were clearly laying the foundation for a brand new mobile operating system that wasn’t just ready for prime time. With all the updates that have brought us to 1.4.5, they have made some major improvements but still lacked some necessarily features. While I feel that to jump to 2.0 is warranted (as opposed to a jump to 1.5) due to the seemingly total rewrite of the guts of the OS, I still feel like Palm has a little ways to go until it feels like the base OS is done and they move into just making it better. We have seen a glimmer of what else webOS is capable of due to the 400+ patches that are available (including the amazing Advanced Configuration patches from sconix or UberCalendar from MetaView), but it doesn’t seem like 2.0 gets us there completely. That being said, I am really excited for it, but hope there is more that hasn’t been announced! Derek: webOS 2.0 has me both pleased and disappointed. In a way, it very much feels like the same operating system as webOS 1.4.5, but with buckets more speed and some freshened features. Stacks looks to be a slick feature, and once I have more capable hardware than my first-generation Sprint Pre I’m sure I’ll be multi-tasking like none other. I’m encouraged by the potential of Just Type, but I’m not sure how much utility I’ll be able to derive from Quick Actions. I suppose time will tell, but for me I suspect it’ll end up like my rarely used wave launcher bar. As for the speed, we can relate some of that to the fact that we’ve only seen it running on the 1GHz Pre 2 hardware, a lot of behind the scenes work was done to make it all leaner, faster, and more native. This means that things like my longstanding frustration with the Email app will be somewhat alleviated. But the other side of that coin isn’t so pretty. Don’t get me wrong, I’m sure I’ll love how fast all of the backend rejiggering makes things, but I’m flabbergasted by the lack of comprehensive user interface updates. I fully understand how Palm felt the need to focus on the strong suits of webOS (multitasking cards, search, Synergy, etc), but the fact that outside of the launcher, card view, phone app, and Just Type we can’t see a single user interface tweak boggles me. Yes, webOS continues to be a thoroughly attractive and usable mobile operating system with webOS 2.0. But so many of the stock apps are in desperate need of new features and updating that it’s almost laughable to call this a new OS to most users. Sure, the aforementioned Email app might be notably snappier, but there’s been no change to how the user will use it. Sub folders still don’t sync automatically, messages still aren’t threaded, Gmail integration is still lacking, and so on. I fully understand the desire to focus on and improve webOS’ strong suits, but the basics are in desperate need of functionality updates. What also has me perplexed is the apparent lack of new APIs. In fact, the only new APIs are related to new functions in webOS 2.0: Synergy and Just Type plug-ins. There’s no new camera API and nothing for the microphone. While apps have always been able to write to databases like Calendar, they still can’t read from it. Being able to slot a movie showtime into your calendar is of limited utility when you have to open the calendar to check for conflicts. This might seem like a lot of griping, but I’m still optimistic (shocker, I know). What has me optimistic is what might come next. I’m looking forward to webOS 2.1, which I’m assuming will come with the real next generation hardware and plenty of new features. HP webOS 2.0 provides a rebuilt and strengthened foundation for the future of webOS - I can’t wait to see what can be built off of this new base. Palm, HP: bring it on! Jonathan: Based on what I’ve seen publicly, I am very pleased for the most part with webOS 2.0. Rather than being some major departure from previous versions, or needing new hardware (I’m looking at you, Apple), it’s a logical and thoughtful evolution of what’s best in webOS (multitasking, Universal Search) along with some critical improvements (database speed, the way-too-long-awaited Bluetooth keyboard support). At the same time, I am dismayed by the reported elimination of support for MotionApps’ Classic, which was mission critical for a limited number of users but did not negatively impact on the rest of the webOS community, and await either a better explanation of why it has been eliminated, or a reversal of the decision. Additionally, if it’s true that one still can’t search the Calendar, and the hardcoded clearing of older Exchange calendar info from the phone (overriding any settings in Exchange itself) hasn’t been removed, this core PIM feature remains well behind Palm OS’ abilities. The excellence of webOS 2.0 won’t matter any more than those of its predecessor versions, though, unless HP gets serious about encouraging, supporting and ensuring world-class app development, from the biggest brand names and the smallest shop. Without that webOS will remain an afterthought and also-ran in the marketplace, regardless of any new hardware releases. Mahootzki: As it looks from the reviews and videos posted here on PreCentral, webOS 2.0 looks to be much snappier than previous builds and obviously there is a lot of new amazing features that have been added which I don’t have to reiterate all the great stuff it has. What I do want to bring out, is my minor disappointments of what’s missing. Ever since webOS was announced in 2009, Palm had that word “soon” as the date of anything good ariving to users, being hardware, software, or SDK’s for developers. We all knew that 2.0 would arrive by end of 2010 with some great new features, so when it was announced we were very excited about it and for good reason, but, as usual there is some stuff missing from it that was promised by Palm awhile ago, most importantly Mojo Messaging Service push notifications, which could improve battery life like crazy and is not included in 2.0. Another thing, they promised that the whole UI would be accelerated, when only parts of it were, so it’s not as snappy as it really should be. I’ve played around with some other devices (HTC Evo 4G, Epic 4G, and iPhone 4) forget the OS/UI, they are snappy... you press on an app and within the blink of an eye it’s open. The way webOS opens apps, I don’t think we’ll ever “feel” that experience, but if it’s not close to that, I might start to call it unusable. If you were to ask me, I’d say that the right thing would have been to announce webOS 2.0 with some amazing hardware. HP and Palm should have waited to announce it for when they had some new impressive hardware to show off to back it up, then announce that the upgrade will be available for older devices (I hope Pre 2 is not the amazing hardware we waited for, god help us if it is). I make an average of 4000 calls a month (yeah, I know, I’m a busy guy...) so for me when ending a call and trying to place another one right away, it shouldn’t take more than a second, if it does then it’s not suitable for me. So I had to get another phone (a Blackberry, which I despise) only for making calls (and BBM) which is able to handle the call volume that I live with. Multitasking and notifications are and have been the standout features of webOS. One of these two standout features - multitasking - gets supercharged in webOS 2.0 with Stacks. Palm has essentially one-upped itself when it was already the multitasking leader. Stacks is one addition I’m really looking forward to using. I’m also very excited about Flash finally coming to webOS. Not so much because I’ve wanted Flash, but more because I’ve become a little tired of the whole Flash debate. Early reports that Palm’s implementation of Flash working well are good news. But, ending the Flash debate in general is great news. The rest of webOS 2.0 again, is all upside. Just Type (like gestures) will be the feature we didn’t know we wanted but can’t live without. Add QuickOffice, Exhibition (eventually), and speed enhancements and all I can think of is the Steve Jobs’ line about Palm being “good” at software. 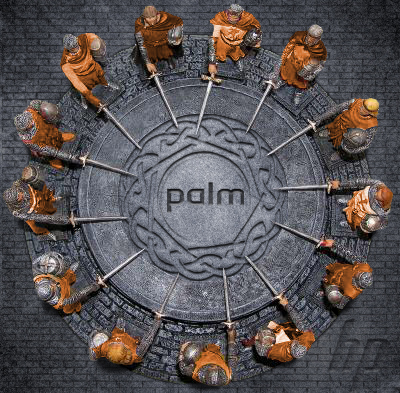 Palm is great at software with webOS 2.0 being evidence of just that. Nathan: There really is not a lot I can say about webOS 2.0 because there really is not a whole lot in it that is drastically different from the current iteration of webOS. It is being discussed as if it is a completely different animal, but all I see is a couple extra features. To be fair, my judgment of it could be completely different when I actually use it. It is definitely hard to make a judgment based on screenshots and videos. But all I see in those images is the same webOS we know and love. All that is new and noteworthy is Just Type and stacks. Just Type is just an expansion of Universal Search. It is cool and something I can honestly say there have been times I wished my Pre had those features already. But it is just an ‘oh, cool’ moment, not an ‘I’m gonna wet my pants waiting for this thing’ moment. Stacks is a minor improvement on the card metaphor. To me personally it is meaningless because I never have more than a couple cards open. My Sprint Pre cannot handle more than that anyway. Even if I could, do I really want to have 10 apps open and flip from one end to the other of a mile long row of open cards? Would it not be easier to just launch the apps I need when I need them? I guess that all depends on the person. Am I forgetting a new and noteworthy 2.0 feature here? Maybe, but if it was really something exciting, I would remember. What would get me excited? I do not know, but I will know it when I see it. Rene Ritchie, Editor, TiPb.com: My biggest beef with webOS 2.0 is that HP dropped it in a press release. I wanted a show. I wanted CES 2009 again. I wanted to see Palm’s small, underfunded (pre-HP) development team code circles around Google’s Android platform and once again show what a real web-centric, open-if-not-opensource mobile OS looks like. Don’t get me wrong, I got the latter in spades, I just needed to see Jon Rubinstein holding it up on stage. But to the meat of the matter. webOS 2.0 is continuation and elaboration on the themes introduced in 1.0, and that’s smart. Just like Apple is carefully building on the metaphors and UI practices their existing user base is comfortable with, Palm is keeping what’s good about webOS and making it great. Card stacks are the easiest to see example of that. Even though I have a Pre Plus, like Derek I seldom kept a lot of cards open because it quickly came to feel disorganized. Stacks looks to fix that with typical Palm style and elegance. Now I’ll be able to group things together and hopefully keep them that way. Just Type is bold but I’ll have to try it out to really see how it fits my usage pattern. I love Spotlight (Mac version), don’t like Quicksilver (don’t yell at me, Dieter!). If it feels as simple and easy to search and launch as Mac Spotlight, it’ll be a big win for me. Unlike webOS 1.0 there’s nothing that smacks of revolutionary thinking, no industry changing concepts like App Store in iOS 2.0, and no massive power boost like Android 2.0. But webOS needed neither. I would still like to see a UI refresh with more contrast for easier at-a-distant glance-ability, but overall their software stack was and remains easily competitive with anyone else in the space, and is still better than everyone in a few key areas. webOS’ major problem has never been software, it’s been hardware. An OS can’t fix that, but I’m hoping an HP-backed Palm can and will in 2011, and then webOS will get the devices it deserves. WebOS 2.0 isn't so much a blockbuster sequel as it is the premiere of a second season. Well, this being Palm, more like the premiere of a fifth season. A good start, a reminder of why we loved the show in the first place, and a chance to build something really great again. We'll stay tuned. So that’s what we think. Now that we've all had plenty of time to digest what webOS 2.0 is going to be, we want you to tell us what you think. Hit us up in the comments.